When not floating above the city in a literalized metaphor of cloud computing with a dodgy connection, players must endure the most earthbound feature of GTA this fifth time around: the cutscene scripting. Playing as Franklin, the sympathetic, “street” (aka, African American) avatar, one’s ears are thrashed with a torrent of hackneyed N-bombs delivered by Franklin’s childhood friend, Lamar, and his buddy, Stretch. These scenes stray into parody through repetition: perhaps the most transgressive and yet selectively re-appropriated word in modern American culture is hammered into meaninglessness by hyperbolic excess. If GTA V proves nothing else, it is almost possible to build an entire sentence out of N-word subjects, verbs, and objects. 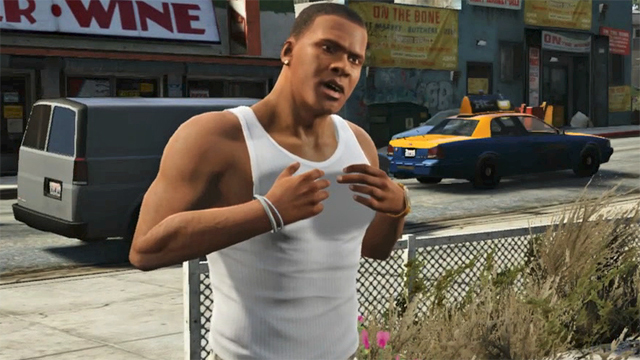 While Franklin struggles to escape the streets of digital Compton, the Franklin I play remains trapped by his characterization (caricature may be more precise). Coherent, cohesive play is already in peril in GTA V, whether by dint of technology or intent of design. And yet I’ve little choice but to pull the plug on Franklin preemptively whenever possible—and switch to Michael or Trevor, the other two playable characters—rather than endure the tired verbal spew he both gives and gets. But mostly, I pity the guy; Franklin’s poorly authored essence thwarts his very existence at my hands. My Franklin aspires to better than what the game designers have imposed upon him. 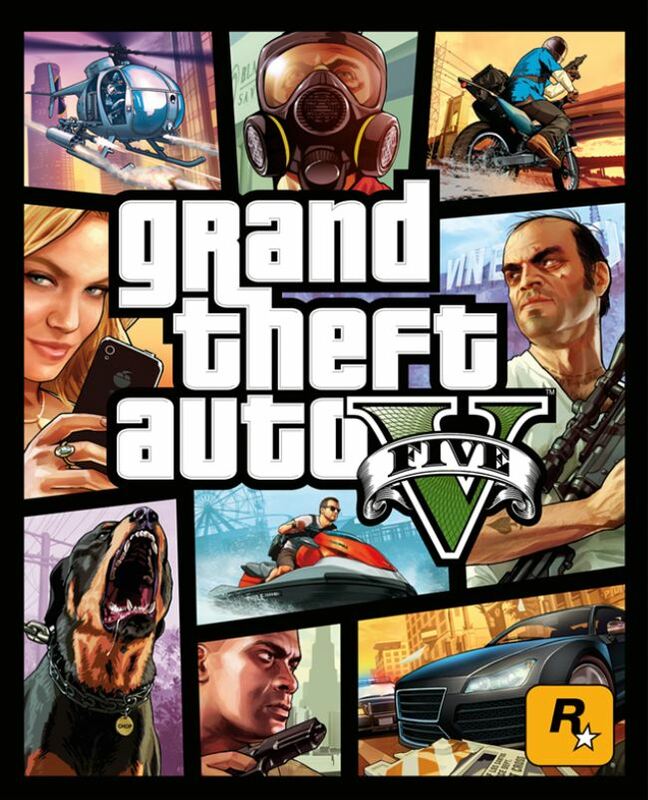 If only we could transcend our respective positions–his on the street, mine in the clouds–GTA V would be as good as it looks from a distance.